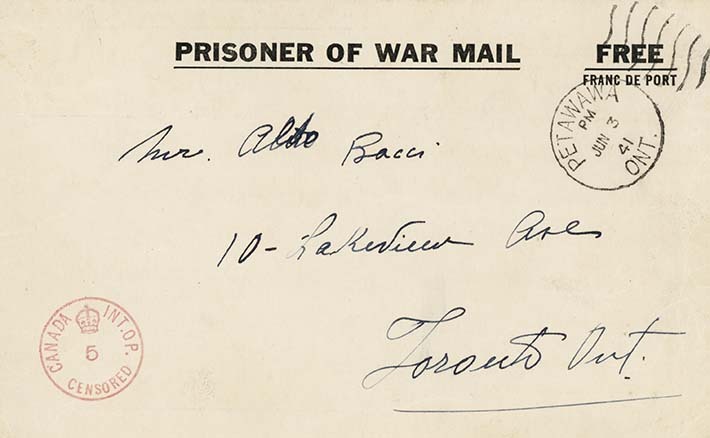 Prisoner of War mail, from Ruggero Bacci, handwritten in Italian, to his eldest son Aldo Bacci, June 2, 1941. Internee Bacci writes to his son that as the oldest child, he needs to do everything possible to help his mother, who now has many responsibilities. He asks that Aldo not add to her concerns. Bacci says he should focus on work and less on his music lessons.